They say that you eat first with your eyes and then with your nose! It is true, if something doesn’t look good, I am not very likely to eat it! You have no doubt seen some pretty cakes in your day. The different color frosting and rainbow sprinkles my mom used when I was a kid were enough to make my birthday cake special. But that is no longer the case! 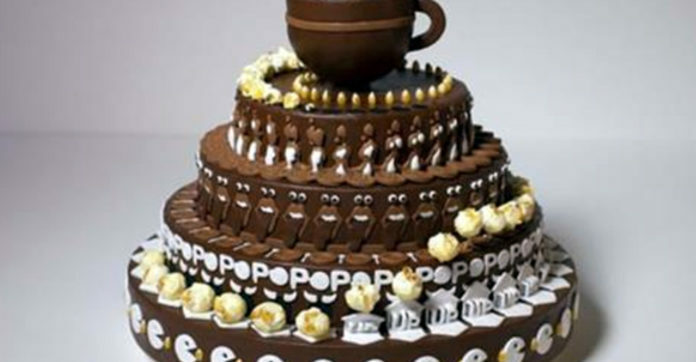 These days, people can make a cake look like just about anything! Have you ever seen those cake making contests on Food Network? How about the Cake Boss? Just stunning work! And to think the cake is edible! Of course, as the cake decorating has gone to new heights, people from all over are trying their hand at making a stunning cake. Before film, animation was made with a zoetrope – which was a metal cylinder with slits in the sides so a sequence of drawings could slide through. As the cylinder spun around, the drawings would come to life – think of a flip book. Now think of that and a cake! Not easy, I know, but never fear, we have a video to show you! Make sure to watch until the end! Watch. Share. Enjoy.